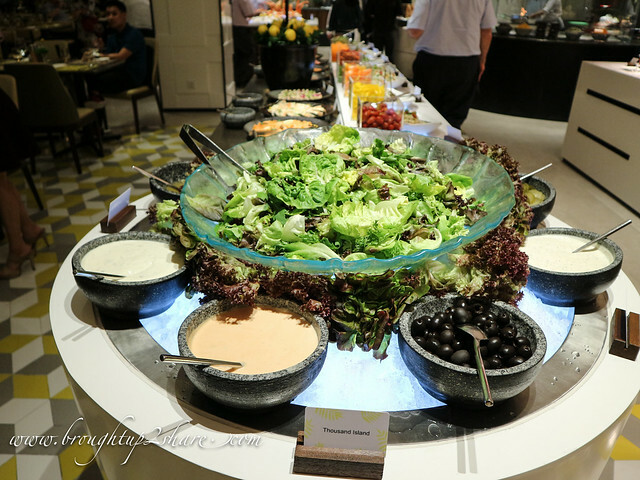 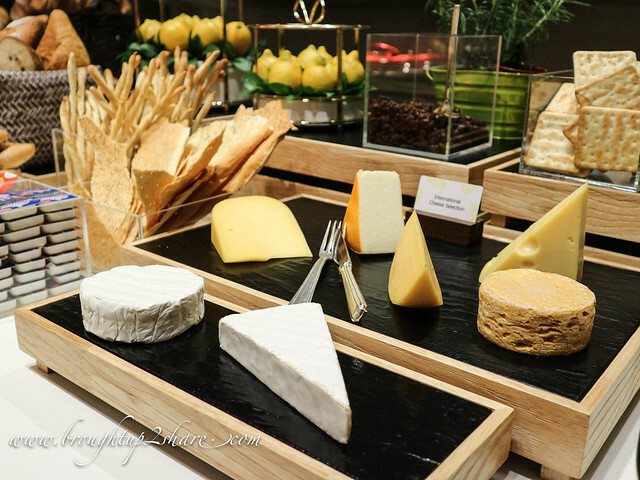 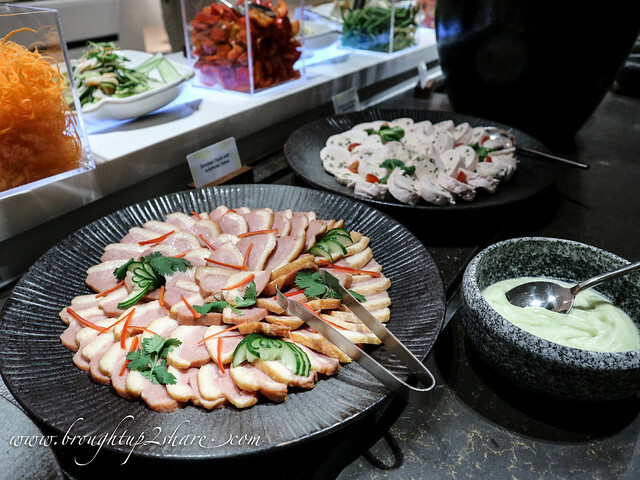 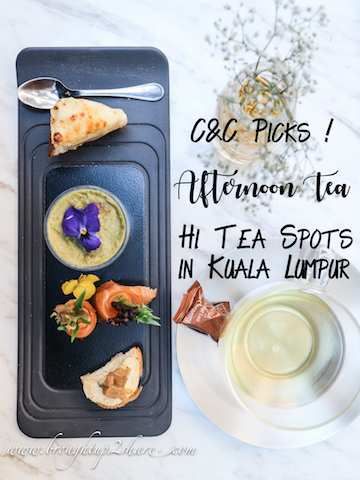 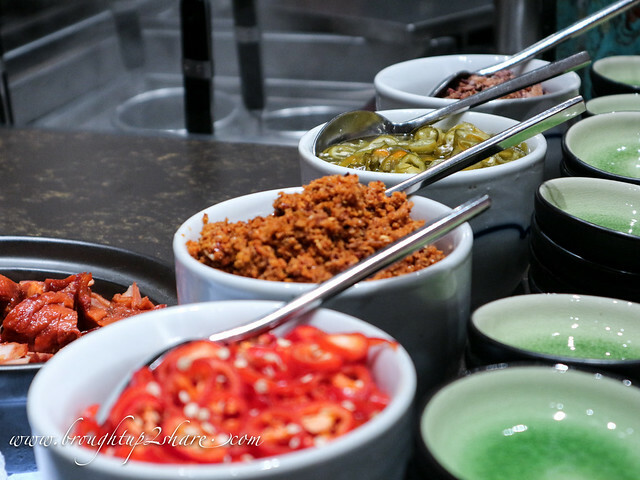 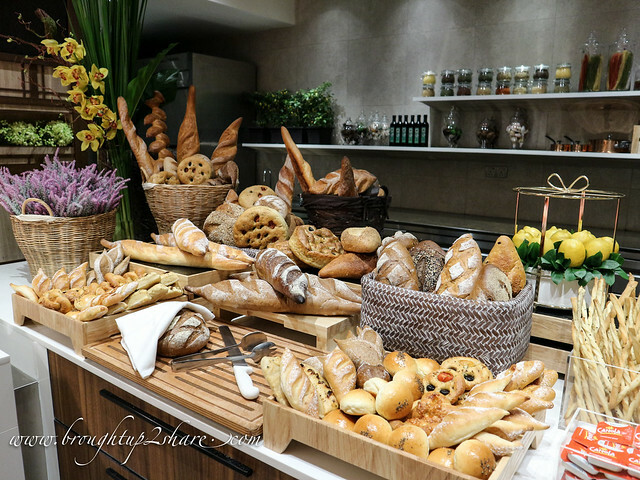 Kuala Lumpur’s food scene certainly has no shortage of scrumptious self-service spreads and buffets for those leisurely all-you-can-eat lunches and dinners. 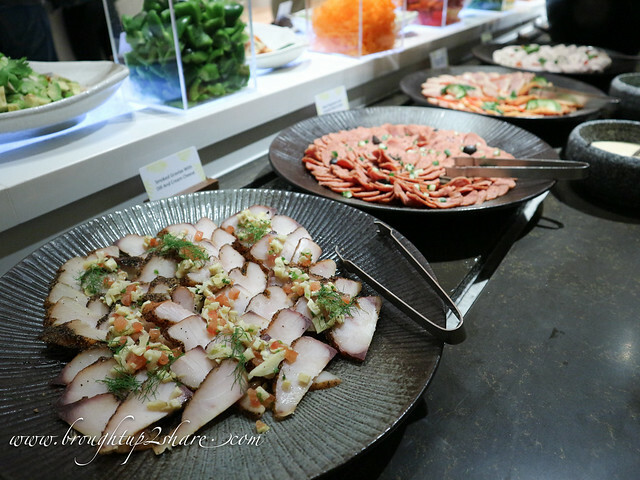 Yes, the abundant & generous buffet options plus helpings. 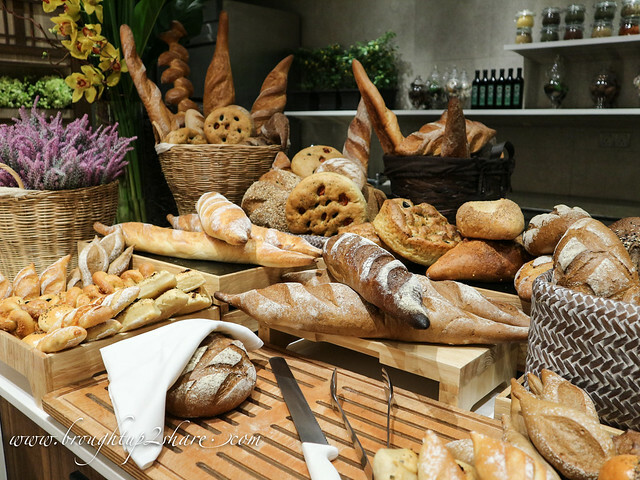 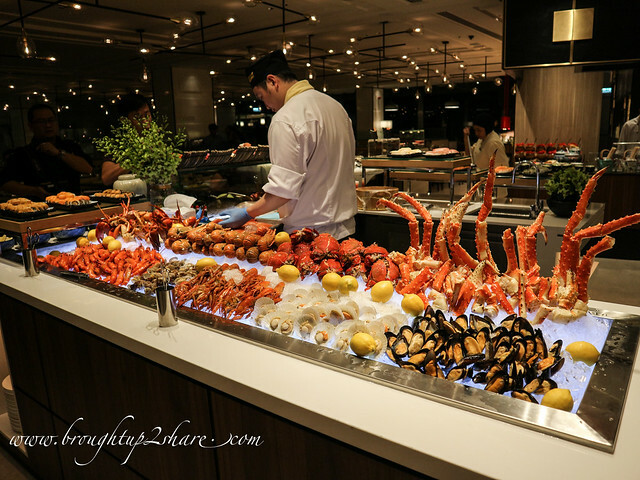 Well-known to locals who love a hearty buffet, Lemon Garden Restaurant @ Shangri-La Kua Lumpur is a popular dining option for many many years – well known its extensive buffet selections and theatre kitchens where local and international specialities are prepared a la minute. 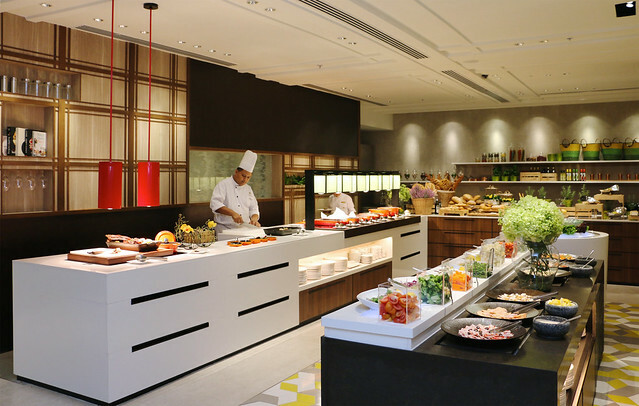 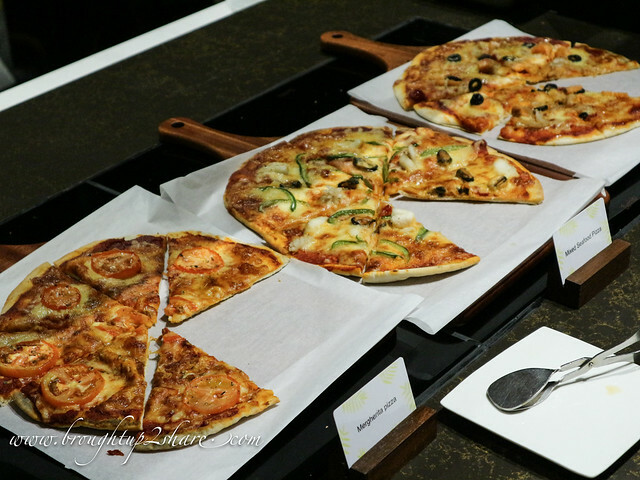 This extensive and worthwhile priced buffet restaurant is open 7 days offering buffet for lunch and dinner with exquisite International, Asian selections and local favourites. 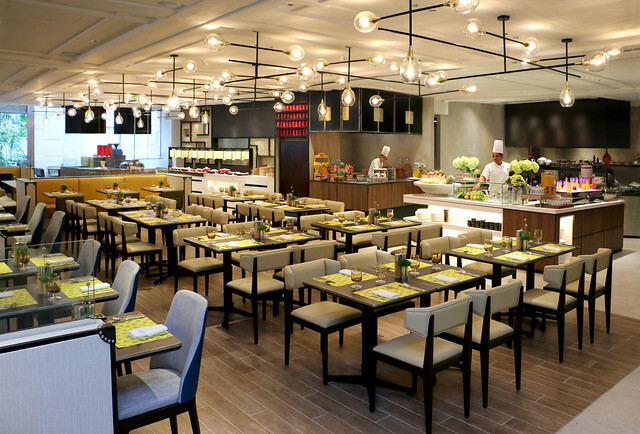 There’ll be something here to satisfy any taste and any family member. 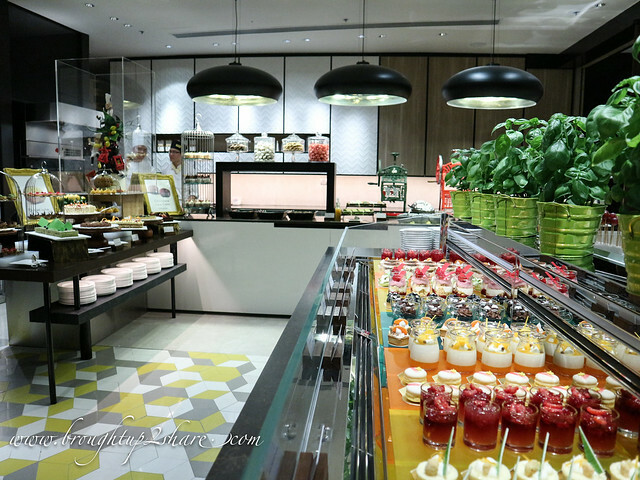 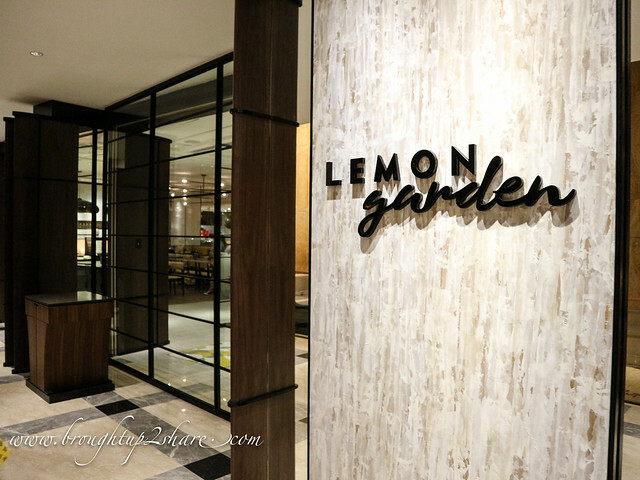 And just during end of last month, the all new Lemon Garden at Shangri-La Hotel, Kuala Lumpur has re-opened! 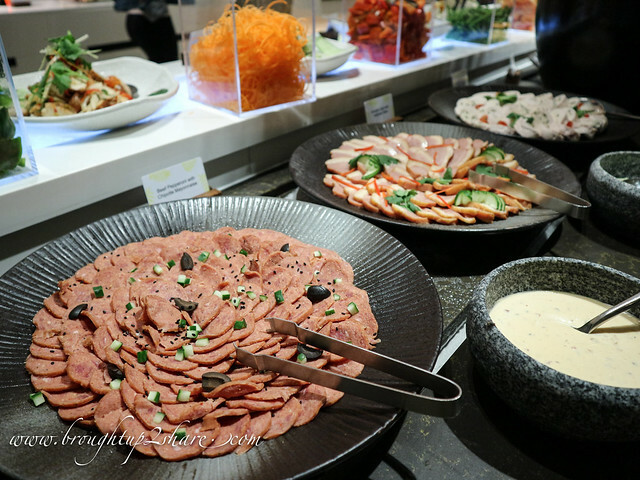 The main restaurant of the hotel debuts a brand new look and a refreshed menu after undergoing renovation & an awesome facelift for the past few months. 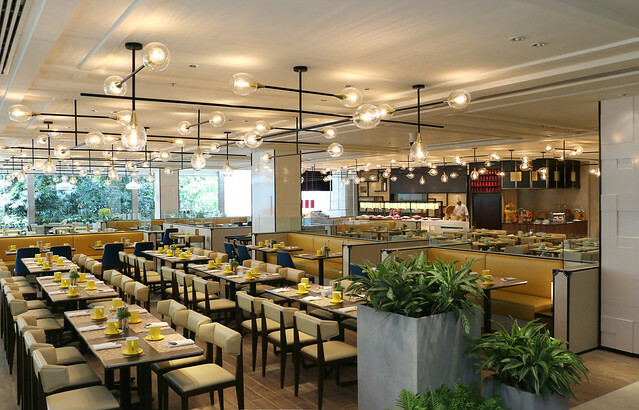 The interior of the restaurant is elegantly decked with modern and contemporary designs which exudes a warm and sophisticated ambience – new patterned tiles, glass walls with golden brown panels with elegant-looking pendant lights on their high ceiling. 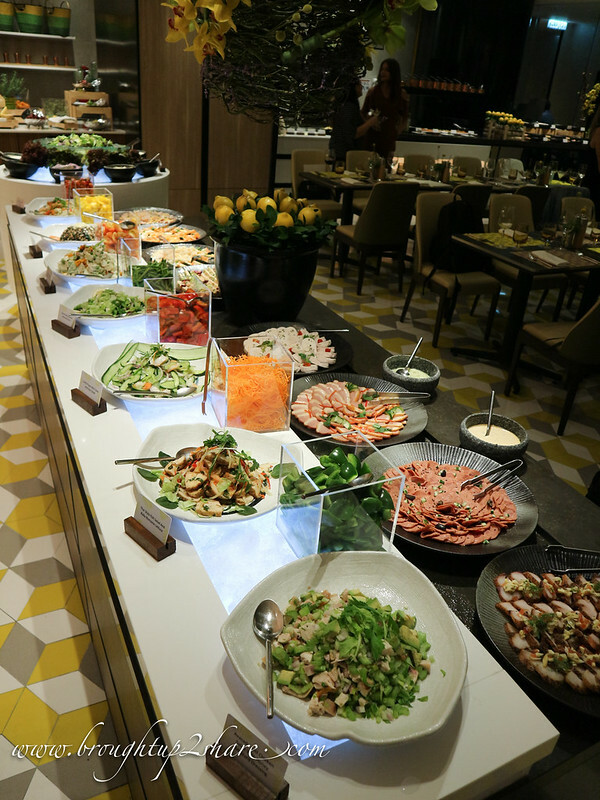 They also have a garden terrace and chic alfresco dining areas at the outdoor section of the restaurant. 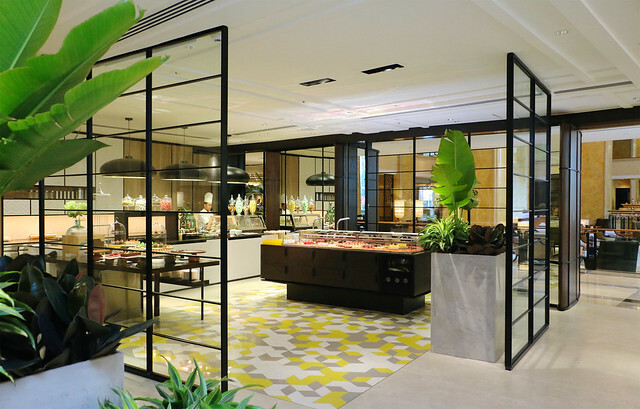 Both areas overlook a koi fish pond and a water fountain, offering a scenic view of the outdoor garden. 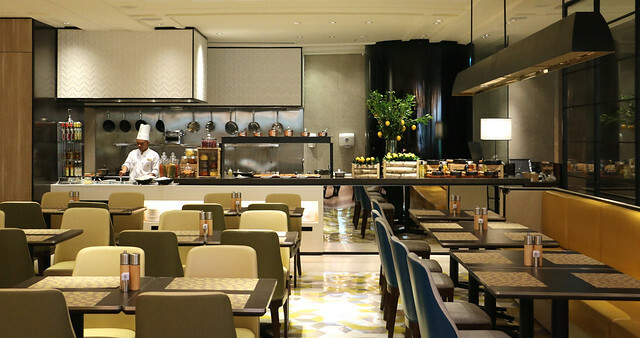 Lemon Garden hosts a brimming options of tantalising cuisine from all around the world. 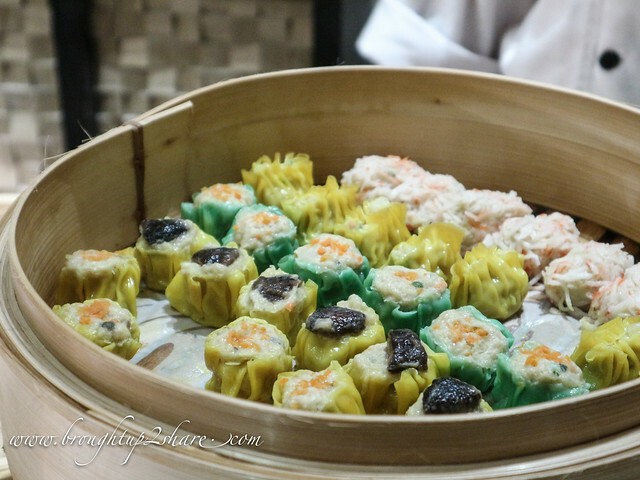 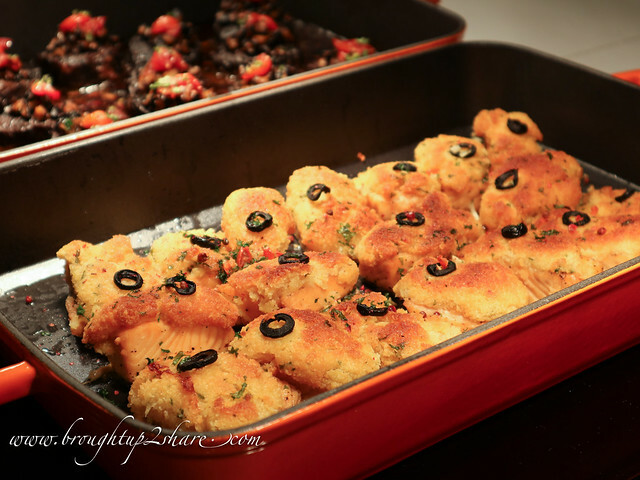 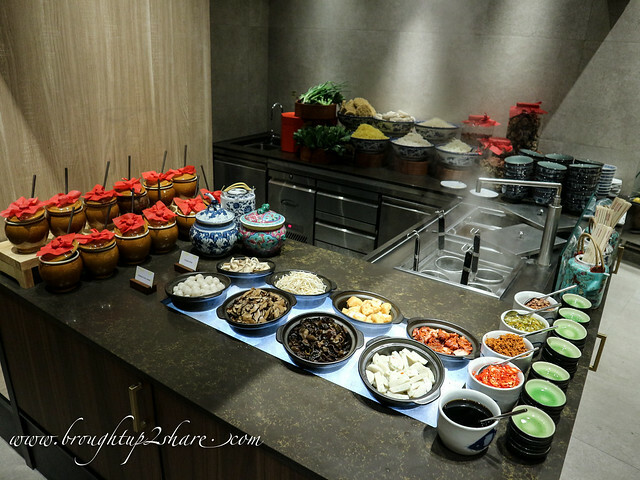 It features a variety of Chinese, Italian, Indian, Thai, Malay, Japanese and Western specialities! 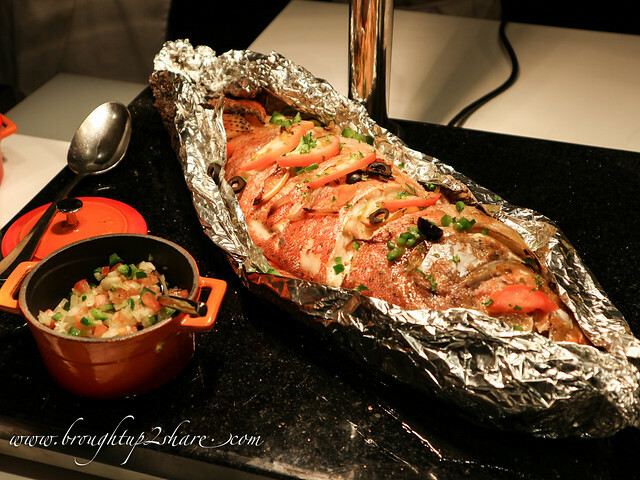 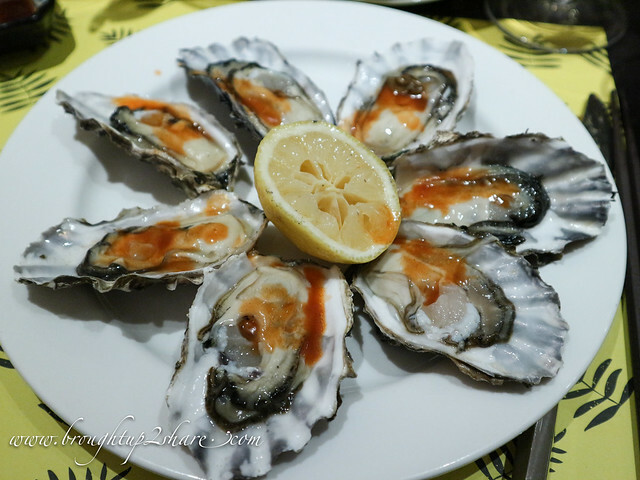 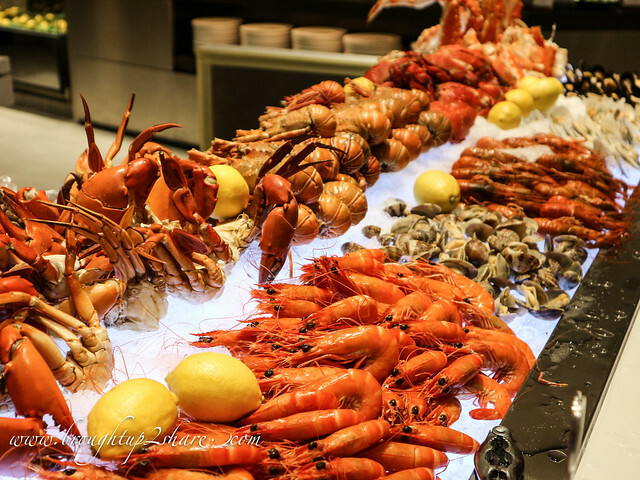 As most of us visited the Seafood Station first due to its almighty and attractive presentation, let’s make a feature on this first. 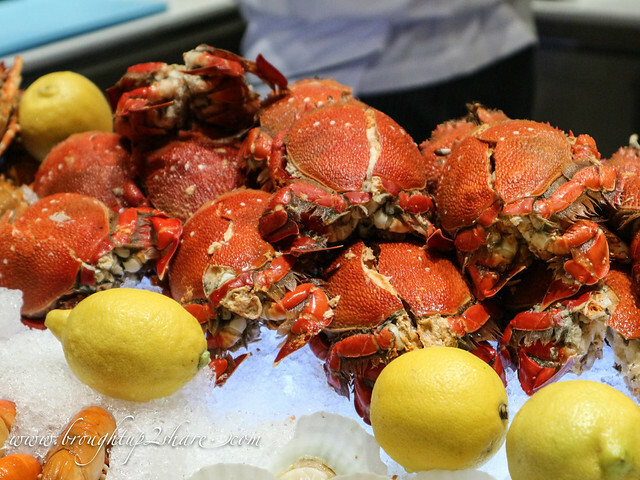 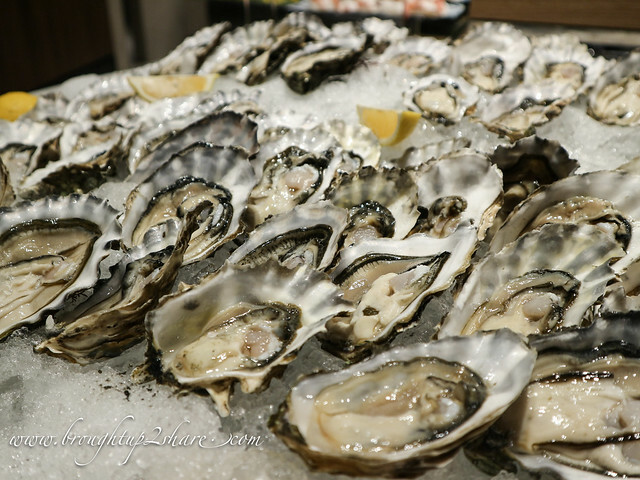 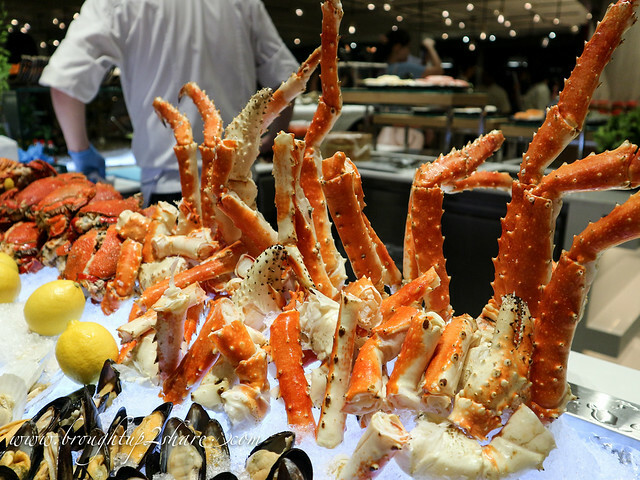 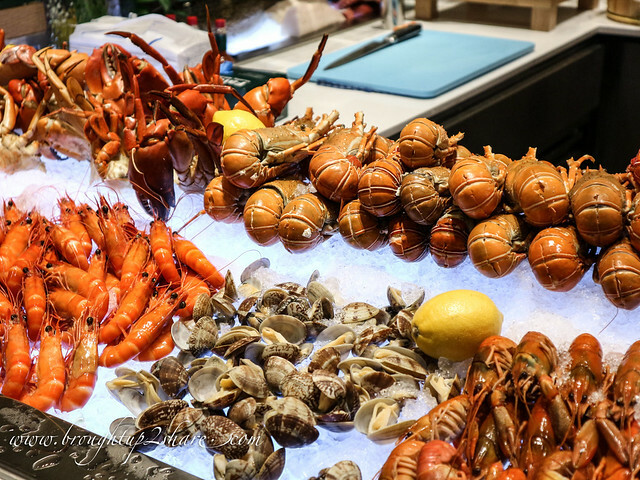 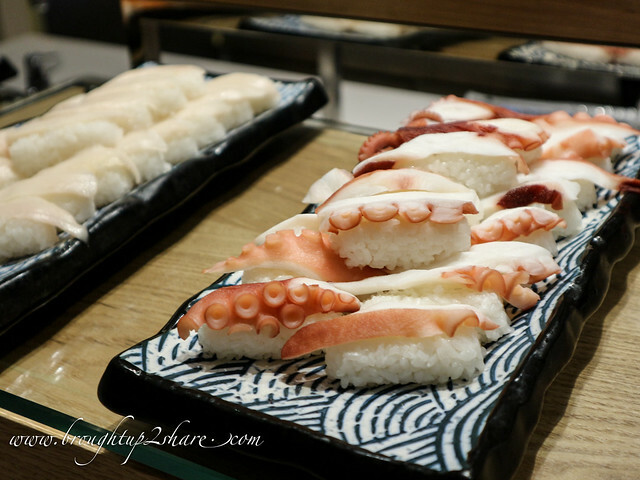 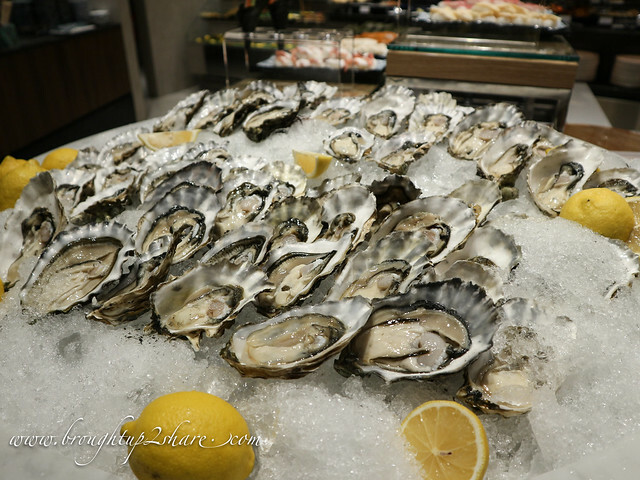 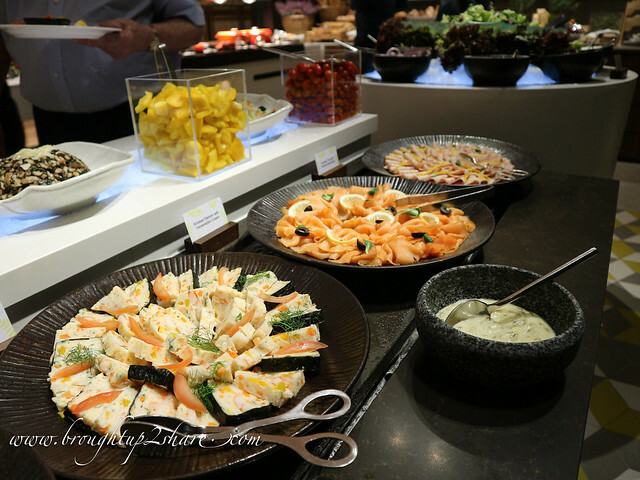 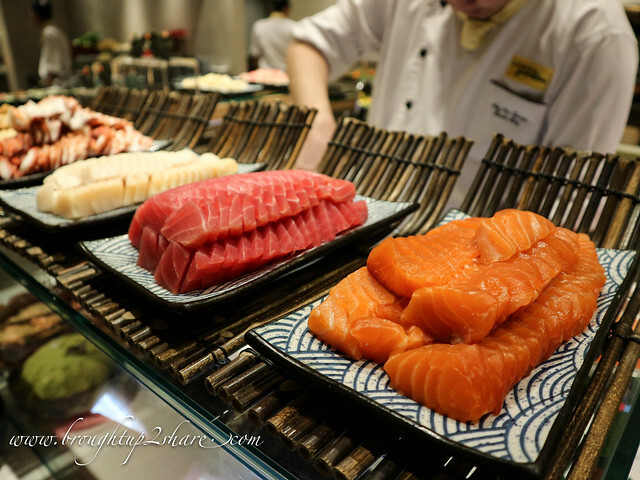 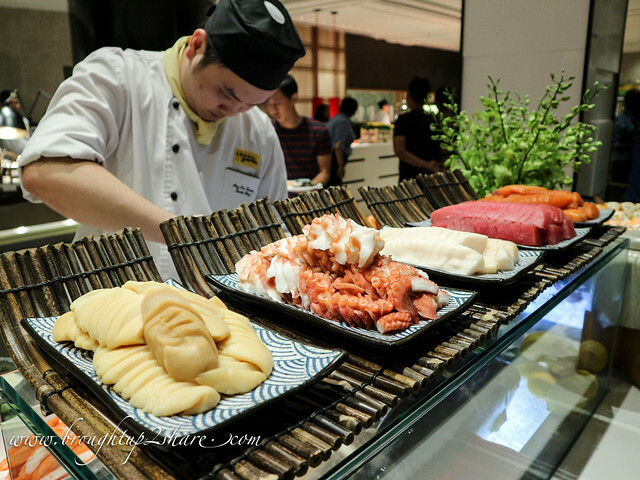 The seafood station hosts a repertoire of fresh delicacies such as fresh oysters, scallops, crabs, squids, mussels, sushi, sashimi and prawns! 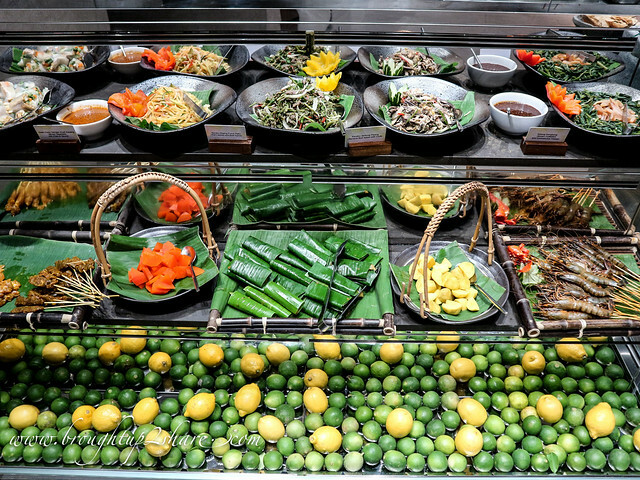 They were all absolutely fresh and we just can’t stop revisiting this station even after desserts. 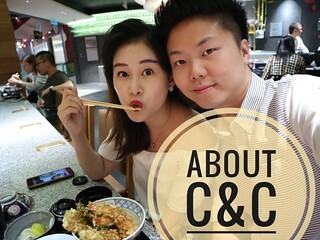 Like seriously. 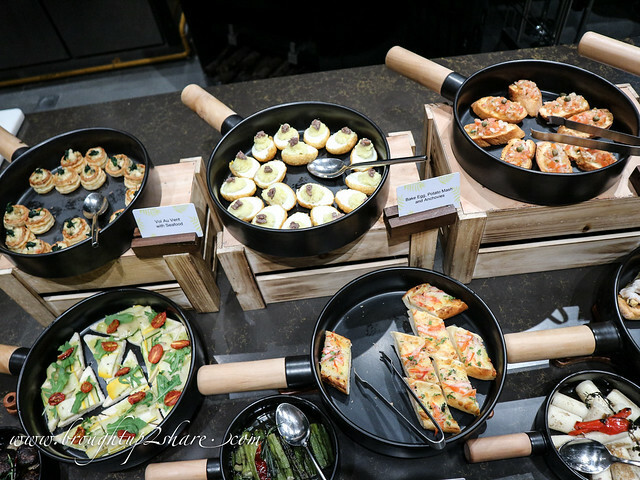 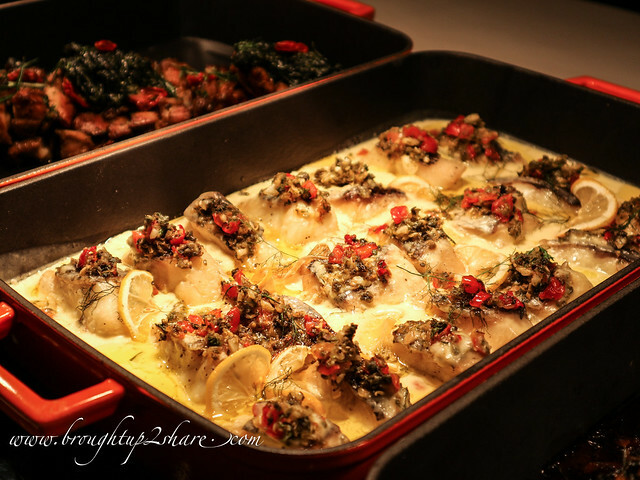 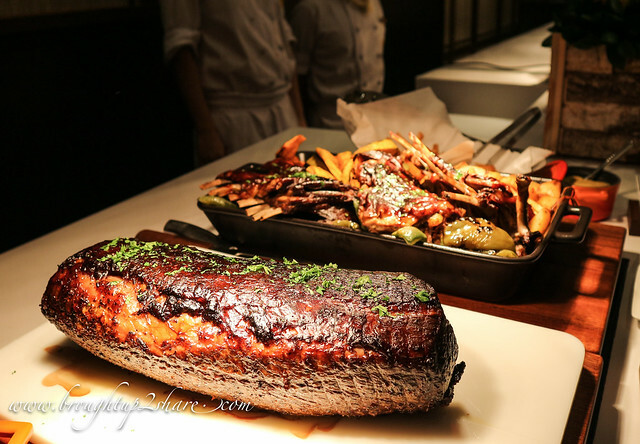 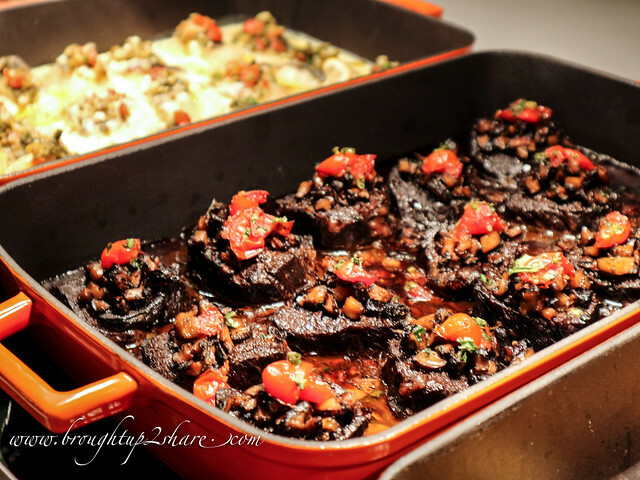 The Western Theatre Kitchen offers a wide selection of cheese, salads, roast beef, glazed lamb ribs and quiche. 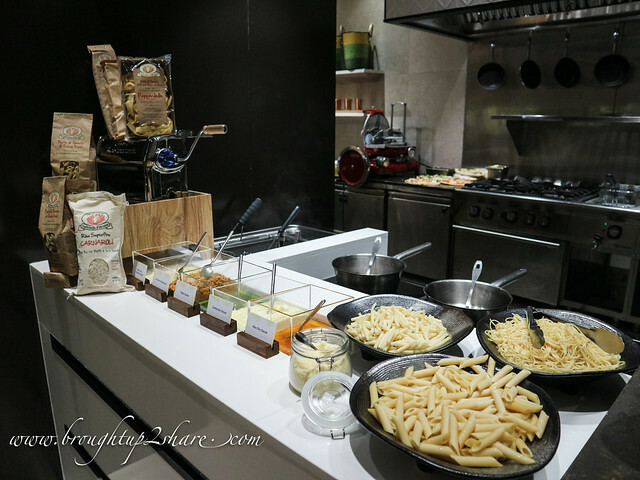 Pizzas are made the authentic way using a unique wood burning oven and the Interactive Pasta Hotspot allows patrons to personalise pastas by choosing their own pasta style and sauce – cooked on the spot right away! 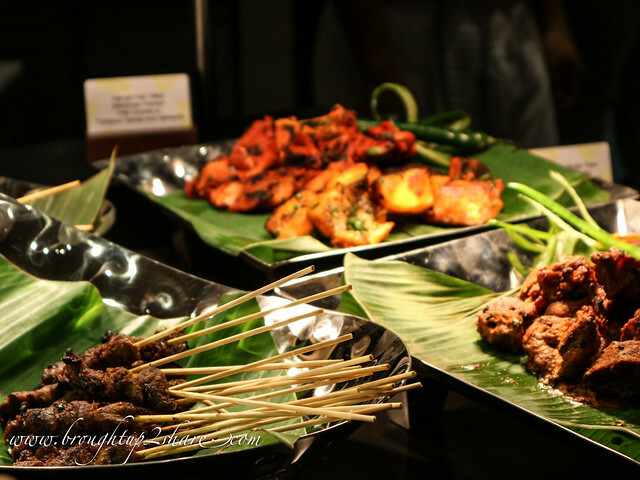 There were just too much to try and I specially eyed on their satay and murtabak, roti canai which were really good. 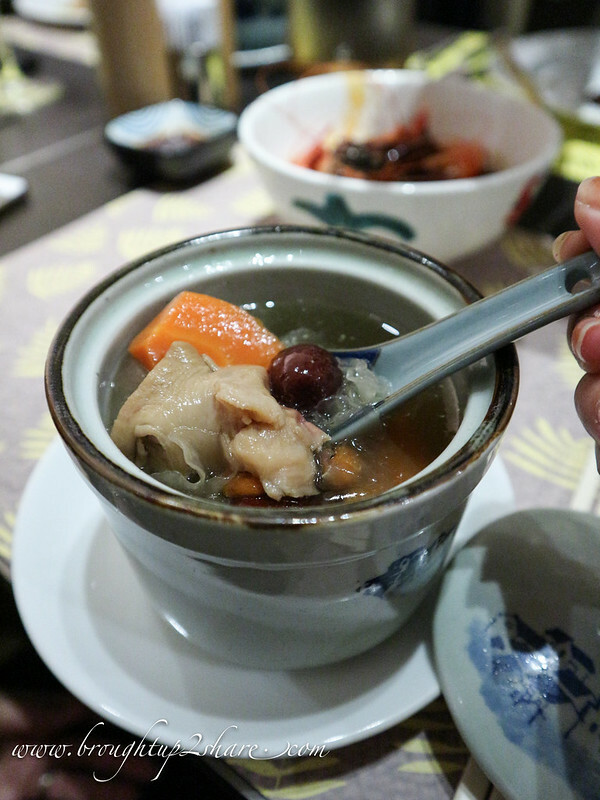 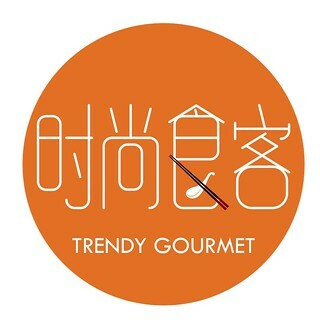 Here comes the Chinese Station that is famous for its unique selection of fragrant and healthy double boiled soups. 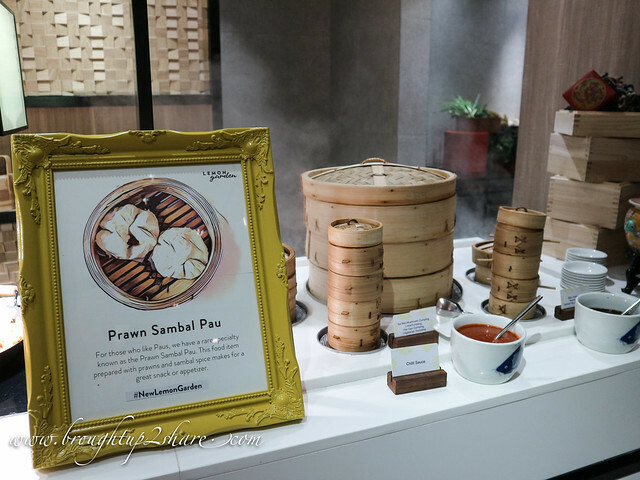 It also features a noodles corner which serves a wide array of noodles – like curry laksa is one of them, exquisite selections of dim sum and other varieties of oriental specialities. 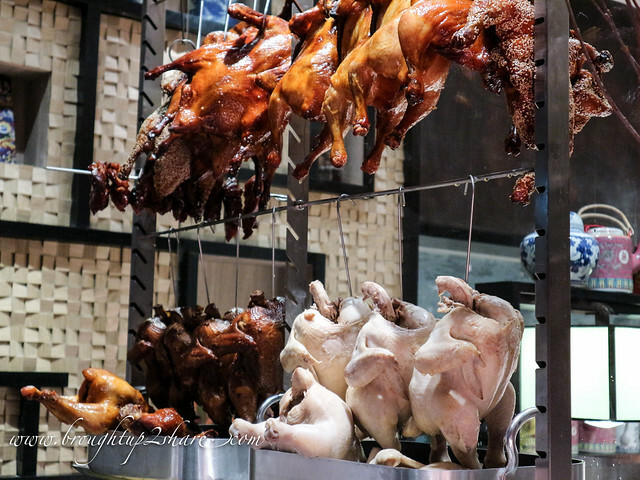 The Double Boiled Black Chicken with Ginseng Soup and Chinese Popiah are an absolute must try! 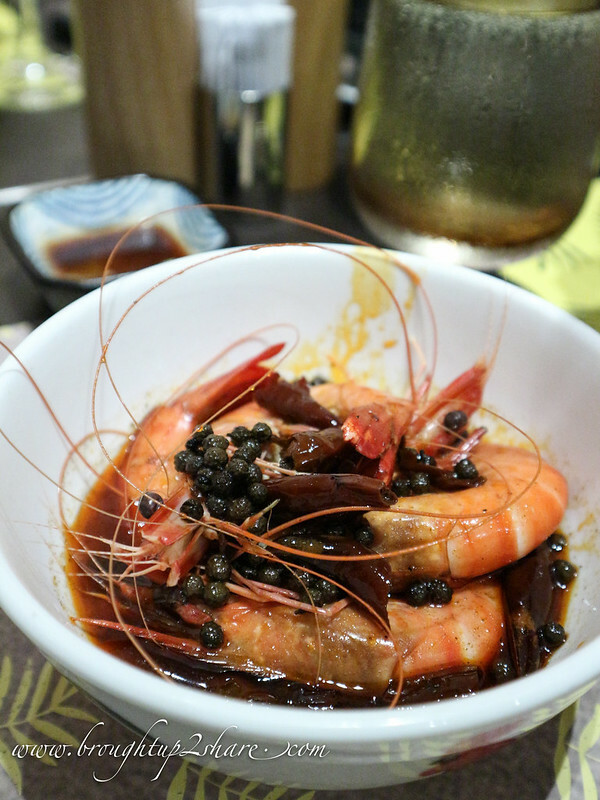 Delicious Sze Chuan Prawns that is full of flavour and has the kick! 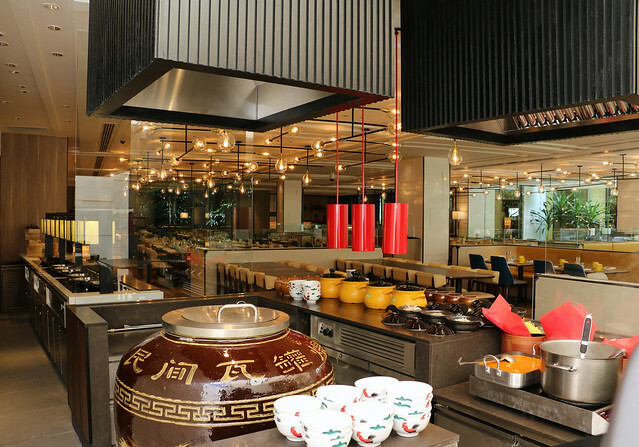 Loving their double boil soups that are boiled in their large ceramic pot! 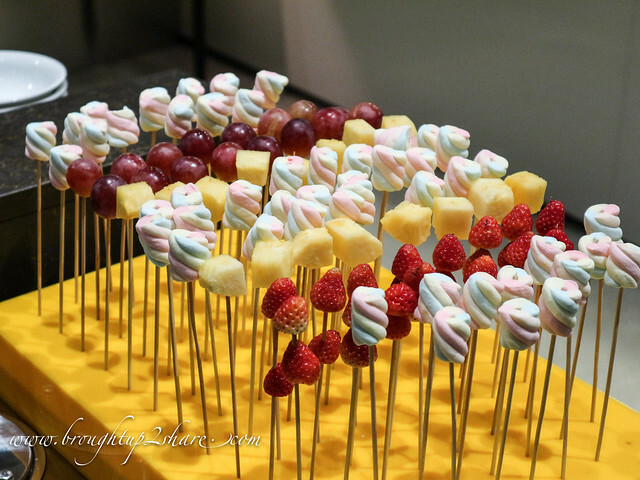 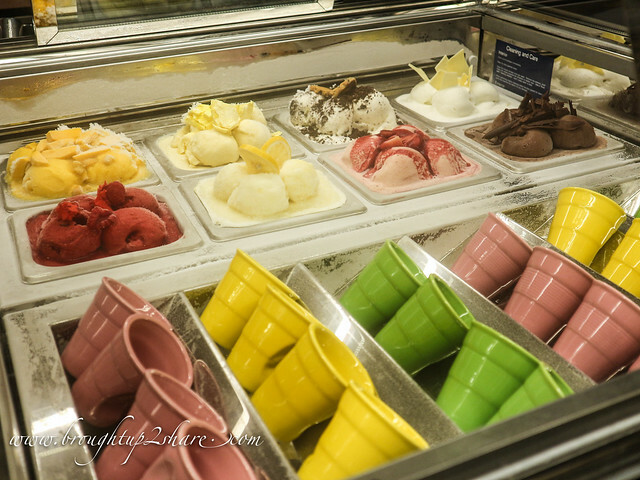 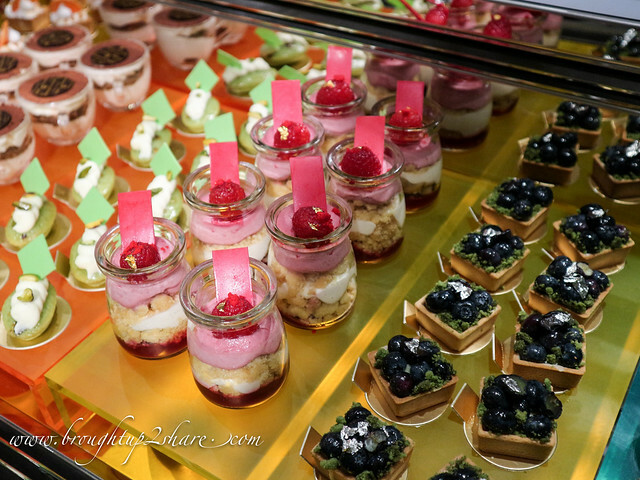 Lemon Garden provides patrons with an amazing array of sweets. 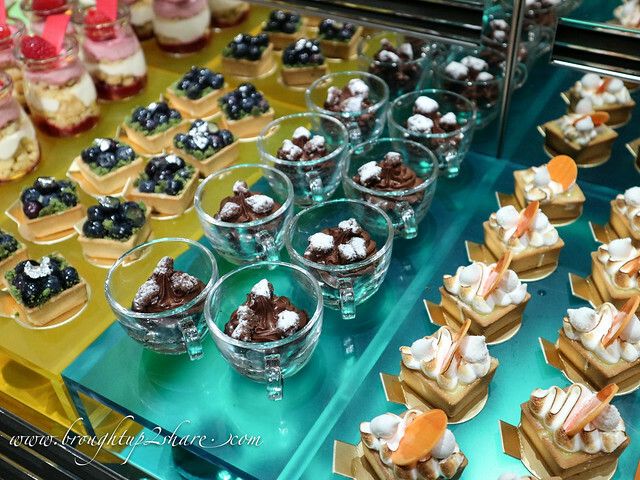 There is no end to the collections of cakes, tarts, confections and cookies that can be combined to excite and satisfy all of our tastebuds. 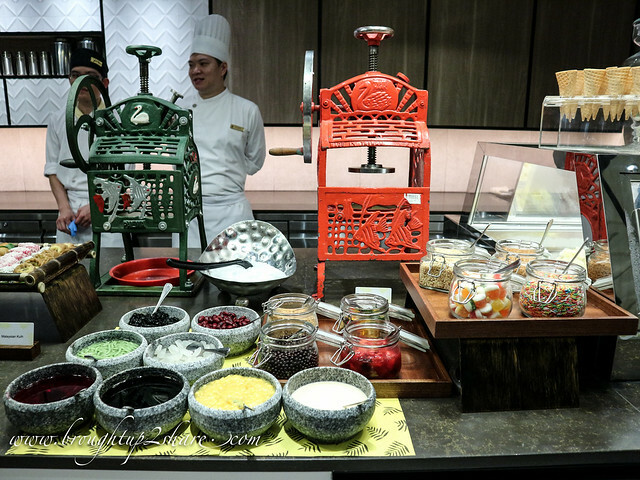 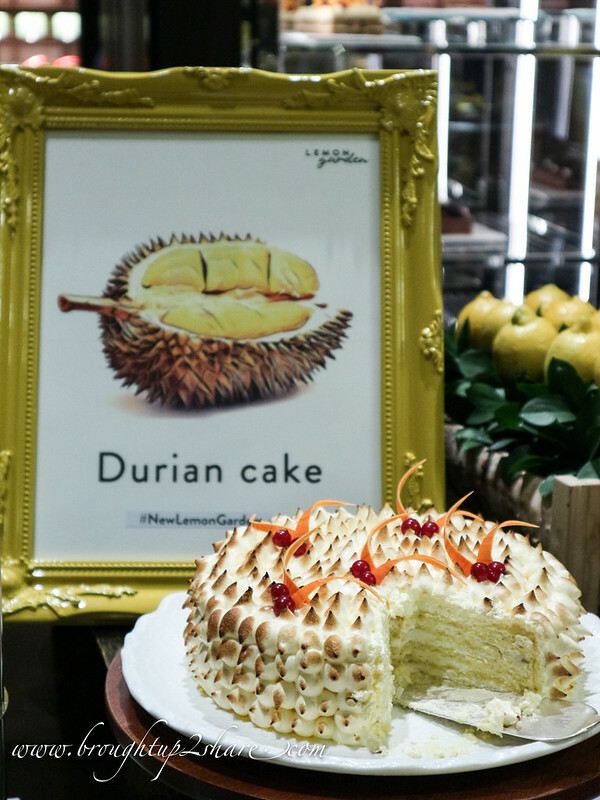 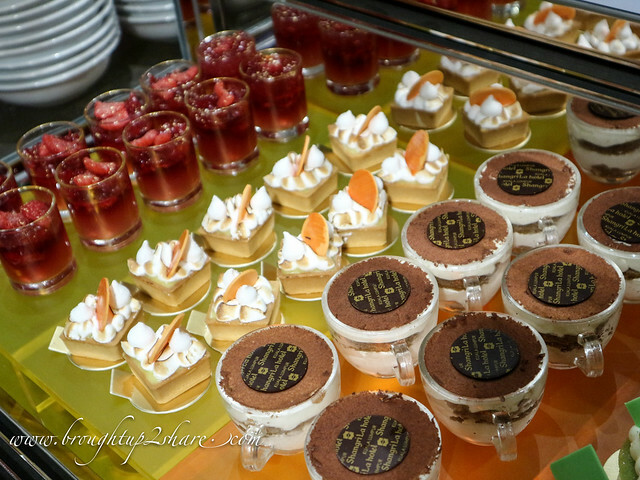 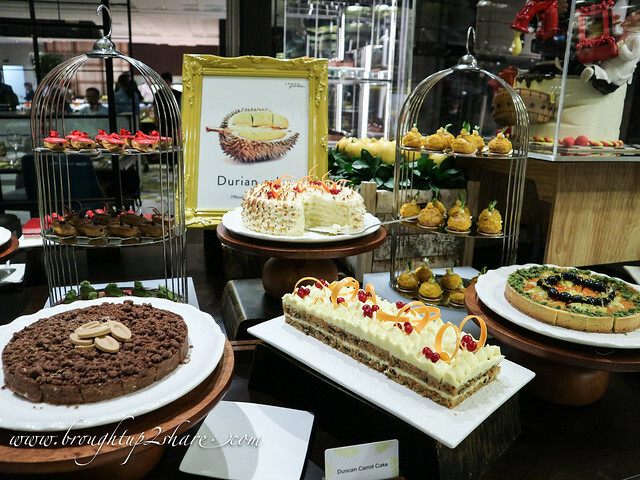 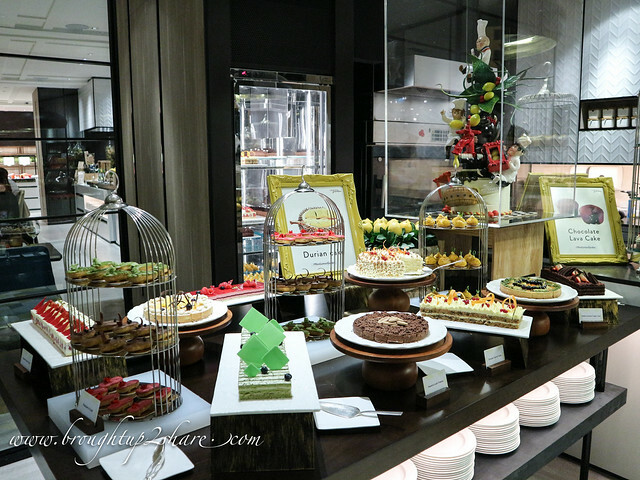 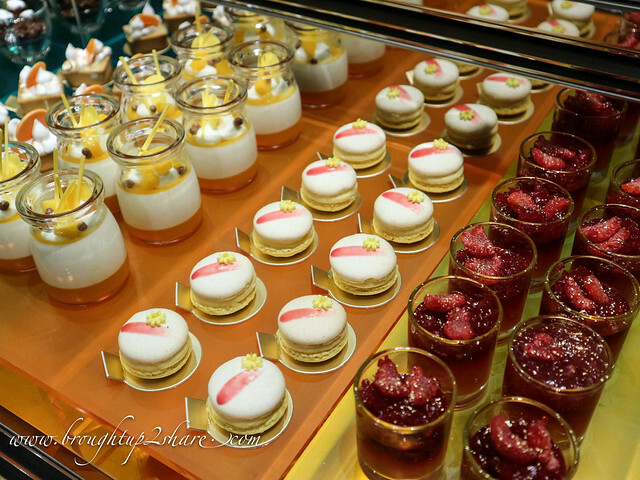 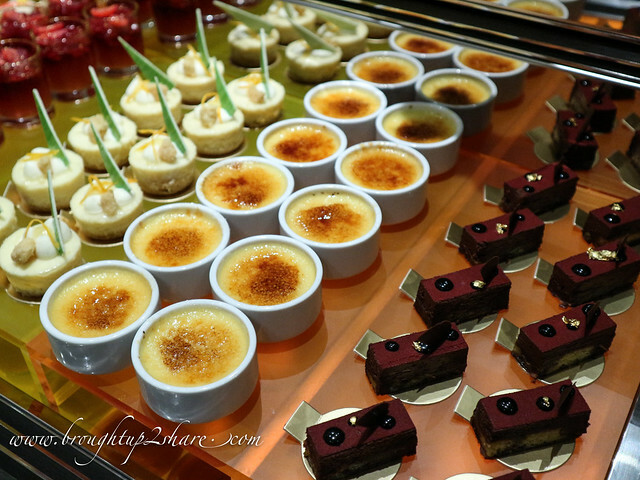 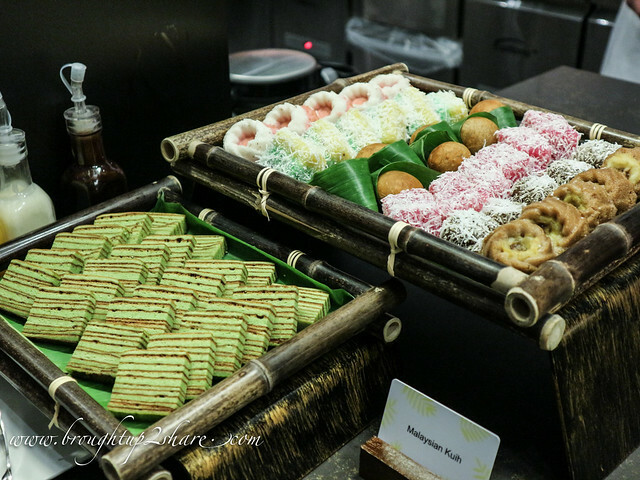 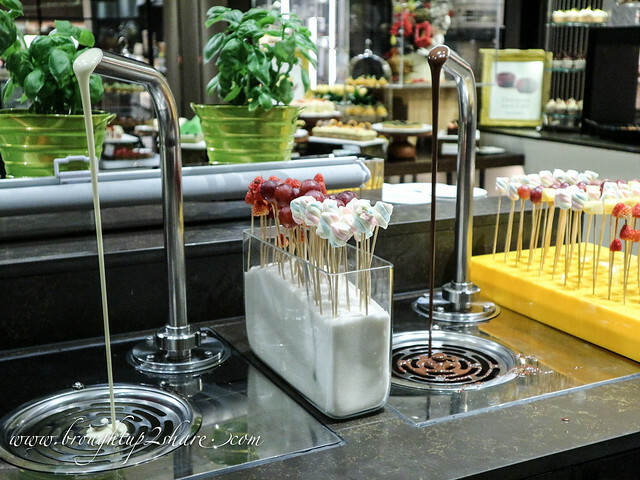 The stylishly designed dessert pavilion features a decadent display of local and international desserts such as the Coconut Pandan Hot Soufflé, Ice Kacang, waffles, crepes, Chocolate Fountains and an assortment of cakes, tarts and ice creams!